Celebrity Cruises exists because we believe in opening up the world. We know that travel makes us better—every one of us. We’re here to help vacationers understand the value of travel. We’re here to encourage people to sail beyond their own borders and expand their horizons. Our iconic "X" is the mark of modern luxury, the mark of contemporary spaces that are at once coolly sophisticated and warmly inviting. Where the culinary experience is influenced by global cuisines and designed by our Michelin-starred chef. Where our staff provide seamless and intuitive service that’s both personal and unobtrusive. Where everything is designed to provide unparalleled vacations for travelers of every age. Our fourteen award-winning ships offer unique experiences in more than 300 destinations on all seven continents. We’re Celebrity Cruises, and the world is open. 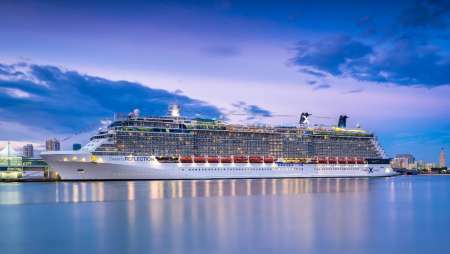 M life Rewards members may be eligible to receive personalized benefits and exclusive cruise offers when sailing with Celebrity Cruises, including complimentary cruises for qualifying Platinum and NOIR members. Current M life members, please sign in and return here for more information.